This is one of my favorite reviews/giveaways to date! Yes, I have a lot of kid-oriented stuff on my blog, but I'm a young hipster at heart who is very interested in social media, pop culture and technology. So when I was offered a pair of gratis SOL REPUBLIC Tracks headphones, I was like, "uhhhhh, do frogs leave slimy trails on my windows???" So, as I sit hear typing this review, don't mind if I'm shouting, cause I can't hear anything but my iTunes tracks on my iPhone. 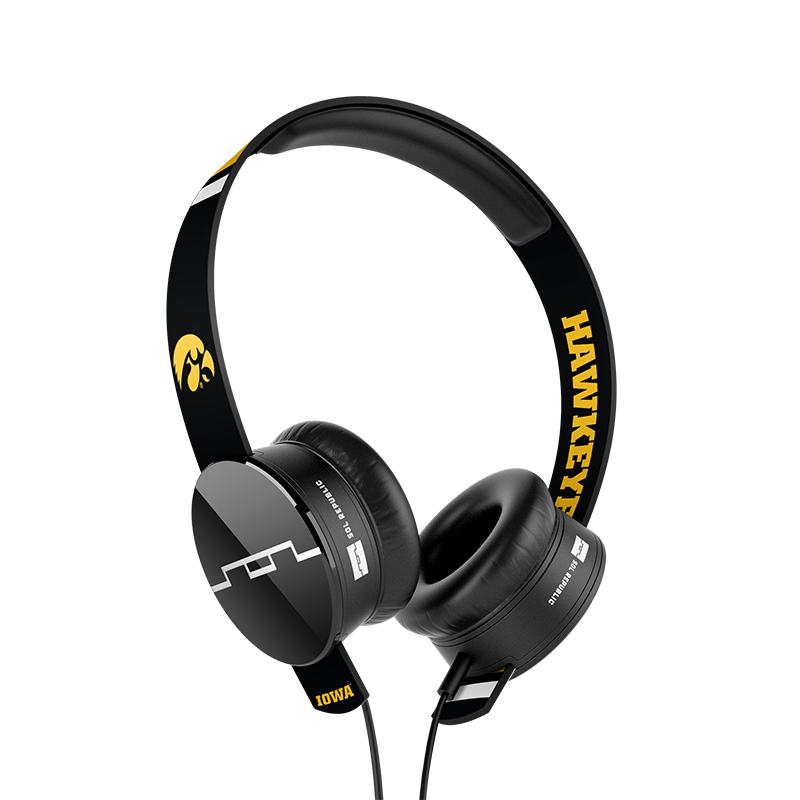 I was also especially stoked that I was able to pick my headphones from the collegiate options and chose my alma mater- Go Hawks!! What is awesome about these headphones? They are geared to work with iPhone, iPad and iPod, but can work with anything that has a headphone jack. But if you use them with one of the i devices mentioned, there is a snazzy volume attachment on the cord. Plus, you get way better sound quality than if you attach them to something else. I used them on my computer first and it was fine, but then when I switched to my iPhone it was fantastic! And the best part- I couldn't hear ANYTHING going on in the outside world! That means when my son came in whining about being bored, I didn't have to hear what was going on and my husband had to deal with it. I want to try these out mowing the lawn just to see how well they block out sound. Am I sold on these... um, heck yeah! And just think, if you're a college student, you can drown out your roommates horrible country music! away to one of my readers! These are a $99 value, so it's quite the deal! This giveaway is limited to US and Canada residents who have NOT won one of these on any other site in the past 6 months. Giveaway ends at noon central on September 15, 2014. To enter: As always, you MUST like/follow my Facebook page before you can enter. After that, you can do any or all of the following, with repeats of tweets (once per day) and Facebook posts (once per day.) Good luck!!! Make sure to post a link in the comments for each thing to be entered. 1) Like SOL REPUBLIC on Facebook. 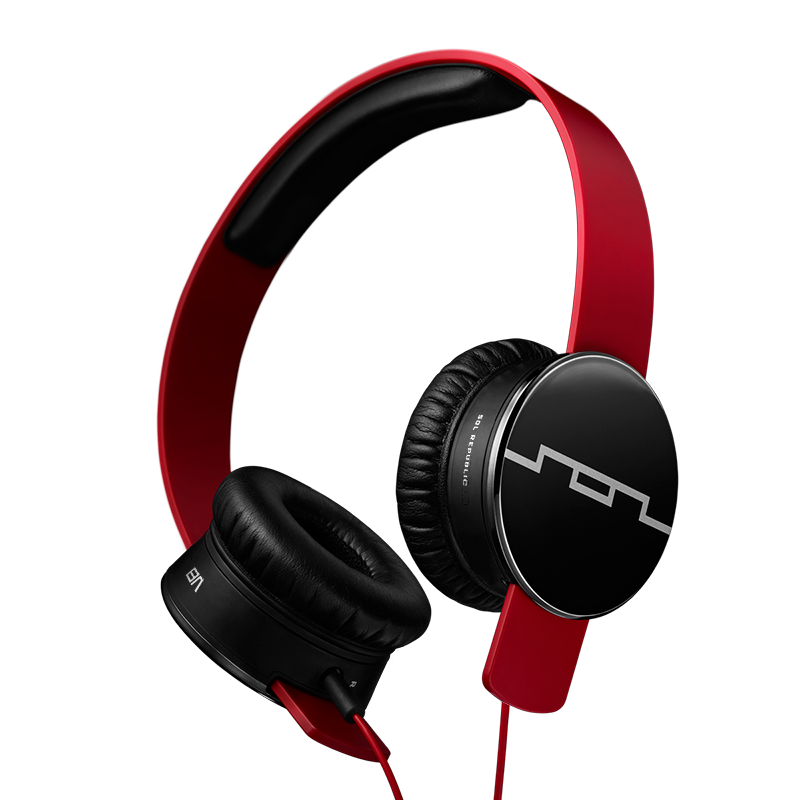 2) Follow SOL REPUBLIC on Twitter. 4) Post a link to this giveaway on Facebook.